From sensors to software, Dynamic Ratings helps industrial facilities improve reliability, leading to increased uptime and maintenance savings. We design, manufacture and integrate innovative sensors, monitors, and controls for data collection, analysis, and diagnostics. With the use of our asset management tools, our customers realize maximum benefit from on-line monitoring. Motors are critical assets in industrial manufacturing process. 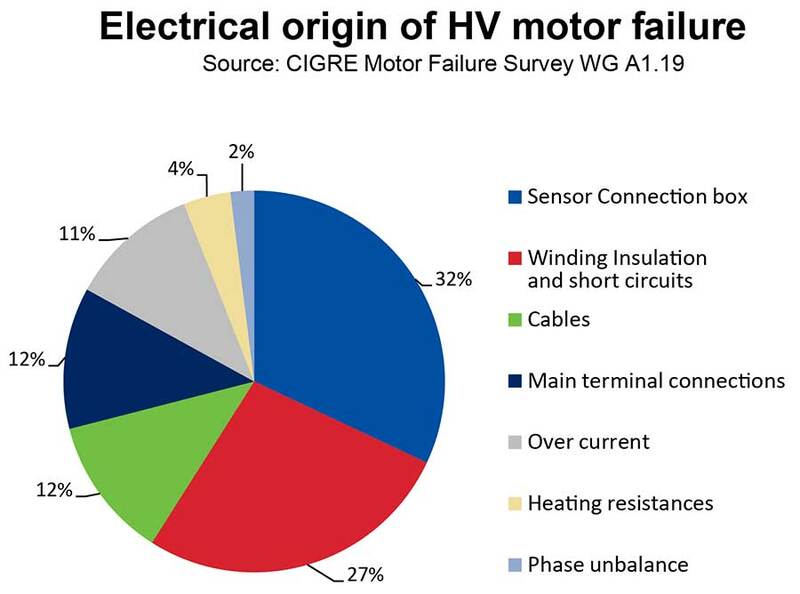 Studies by IEEE and EPRI (Electric Power Research Institute) indicate that up to 40% of electrical origin failures on HV motors are attributable to rotating machine failures in the stator insulation systems. 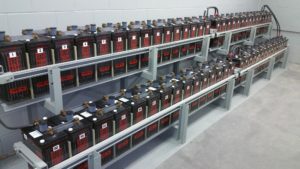 Motor failures are caused primarily through winding circuit and cable faults caused by partial discharge. Correlation of PD activity under actual operating conditions of load current, voltage, hydrogen pressure, ambient air temperature and humidity. Current Signature Analysis for determination of broken rotor bars on induction machines. Shaft Current Monitoring to ensure circulating currents are not present. Flux monitoring in the air gap of turbine generators. The Rotating Machine Monitor (RMM) provides data regarding the health of the stator winding insulation in medium voltage motors and generators through continuous on-line monitoring. Applications with variable frequency drives (VFDs) can be monitored with a RMM as well. 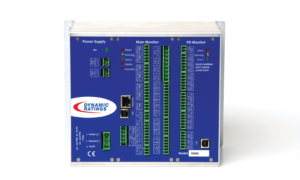 Consider maximizing the data your RMM monitor collects with the use of the optional RTD-PD Sensing Module. Modbus communication protocol is standard, with DNP-3 available upon request. Applications include Generators Iso-Phase, Non-Seg bus duct. and motors. The Switchgear and Cable Monitor (SCM) is a continuous on-line partial discharge monitor which provides information regarding the health of medium voltage switchgear & cable insulation. 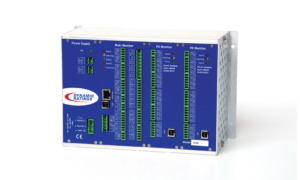 The SCM is the industry leader relative to expansion capability; it can be configured with 15 to 60 PD channels in 15 channel increments for the specific design application. Each module features fifteen independent input PD channels, with the industries best signal-to-noise ratio. Modbus communication protocol is standard, with DNP-3 available upon request. Applications include Switchgear, cables and bus duct. Monitoring of stationary battery systems has increased in importance due to the decline of craft specialists, reductions of maintenance personnel and the increasing number of unmanned facilities. 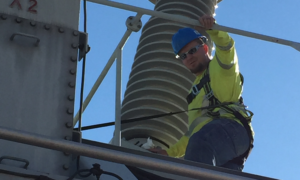 Additionally, NERC PRC-005 requires electric utilities to implement maintenance plans for protection systems associated with the Bulk Electric System. These devices meet NERC PRC-005 monitoring requirements by monitoring, logging and alarming on the following information: DC supply voltage, Battery float voltage, Battery float current, String continuity, Intercell connection integrity, Cell ohmic values relative to baseline values, Unintentional grounds, Electrolyte levels (optional). 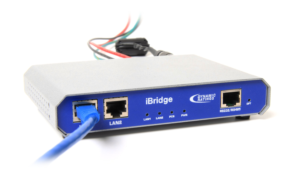 The iBridge Power Line Communication System delivers data from any intelligent electronic device (IED) affordably and securely in high noise environment with easy installation using existing power lines. By using an existing wire, you minimize engineering costs, reduce schematic revisions, and avoid trenching or adding new copper wires or fiber. Dynamic Ratings offers monitoring support and customer services in the global marketplace from strategic headquarters, regional sales offices and locally via highly trained and experienced authorized agents and manufacturer representatives. We offer a variety of services to our customers: engineering services, project management, field services, and training. 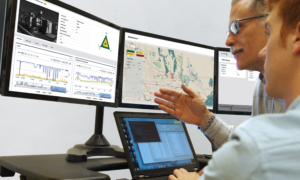 DynamicMetrix® incorporates the experience of the Dynamic Ratings team to consolidate all your condition data, analyze the data in real time and deliver a complete fleet assessment while giving you the ability to obtain detailed information, make timely decisions and take the appropriate actions to maximize reliability, performance and the life of your assets. Athena Diagnostics Software supports Dynamic Ratings partial discharge monitoring systems for configuration, data storage and provides tools for presentation and analysis. Athena runs with the Windows® operating system. Dynamic Ratings offers a wide variety of sensors to monitor the condition of electrical apparatus. 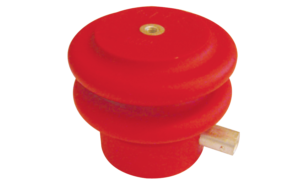 Dynamic Ratings’ patented line of sensors is manufactured in-house to ensure the highest quality and accuracy requirements are consistently met. The DRPD-15 is a portable partial discharge analyzer featuring fifteen independent, highly sensitive, user configurable input channels delivering the industry’s best signal-to-noise ratio and allowing connection to any brand of partial discharge sensor. The analyzer has the ability to store test results from multiple objects for uploading and further analysis, without the need for gain adjustments. The DRPD-15 is applicable to system voltages ranging from 2.3 to 800kV.